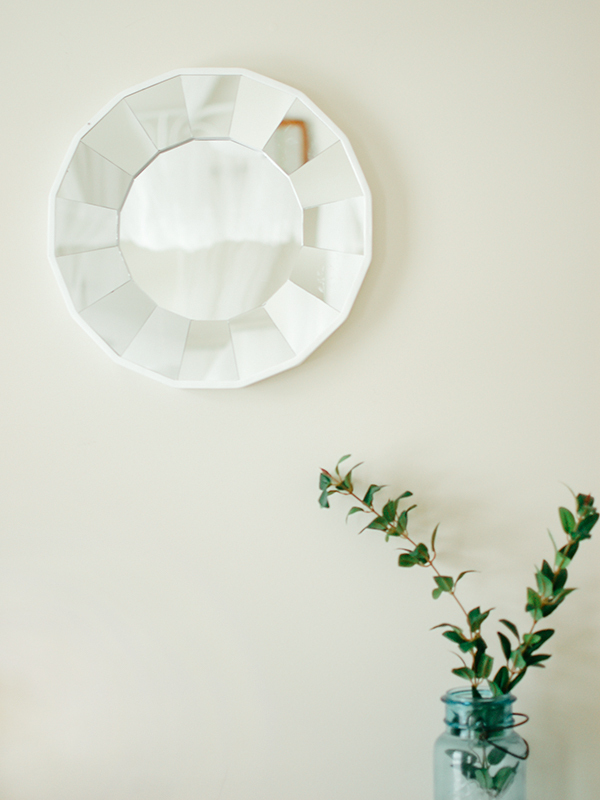 I saw this little round mirror at Home Goods and it quickly found a way into my basket (one of the great mysteries of shopping). I'd love to find more of them -- being an overstock store, they only had the one! For now it's hanging up in the guestroom looking pretty in place of an old frame. I love it! There is a big Home Goods in Farmington, I don't know if you ever get down that way. How pretty!! I love Home Goods because you never know what you will find!! Home Goods is always full of little treasures :-) Great find! I love Home Goods! There is one right behind my house, walking distance, I love popping in there from time to time to pick up a little something for my home :) That is one gorgeous mirror! Beautiful, Alli! Love the greenery in the Mason jar too. I love nice little finds like this at home goods. I've yet to have any good luck with mirrors myself.